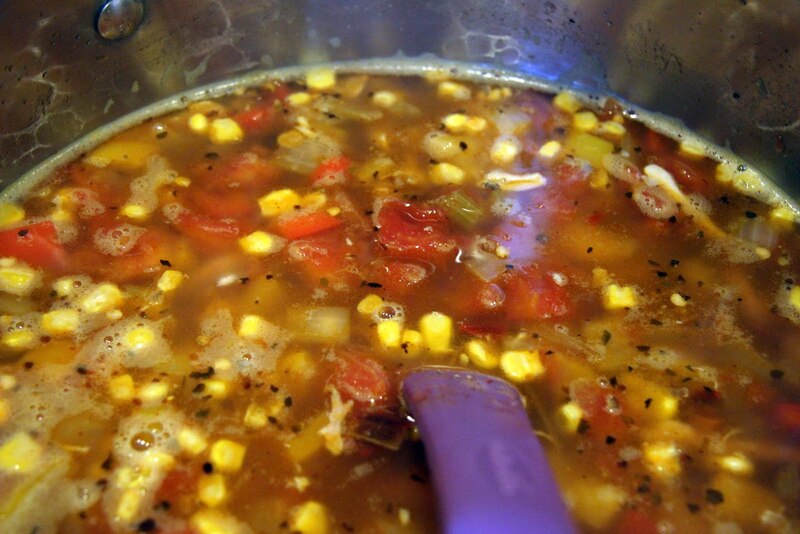 This is a great soup to make if you have leftover roasted chicken. I had Bob handle dinner one night last week and we ended up with a Costco rotisserie chicken and boxed “fettuccine Alfredo” (I hate to really even call it that. I also hate to admit how much I enjoyed it.). It was really quite an effort for him considering his usual answer to dinner is to call for pizza. He also did my Costco shopping for me and I got to take the girls to gymnastics. It’s nice to change it up every now and then. I am, however, happy to say we’re back to normal this week with him taking the girls and me in the kitchen where I belong (only because that’s where I’m happiest!!). This is a broth based soup but very hearty. 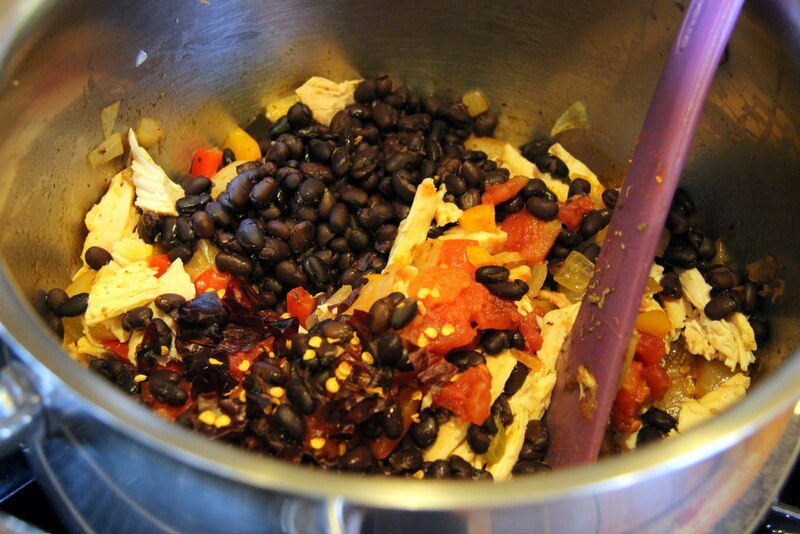 It has all the great flavors of Mexican food and is nourishing and satisfying without the heaviness of some of my other favorite dishes. The (almost) 5 year old’s loved it because they could put on their own toppings. 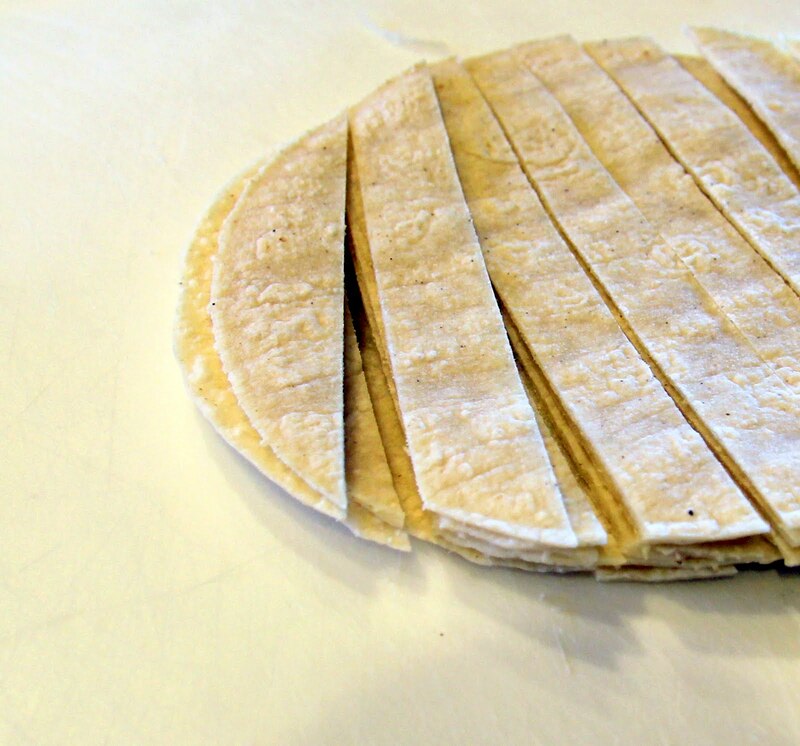 This recipe makes a lot so you may want to cut it in half or plan to freeze some of it if you’re not feeding a group of twelve. It’s always a good idea to have homemade soup in the freezer! 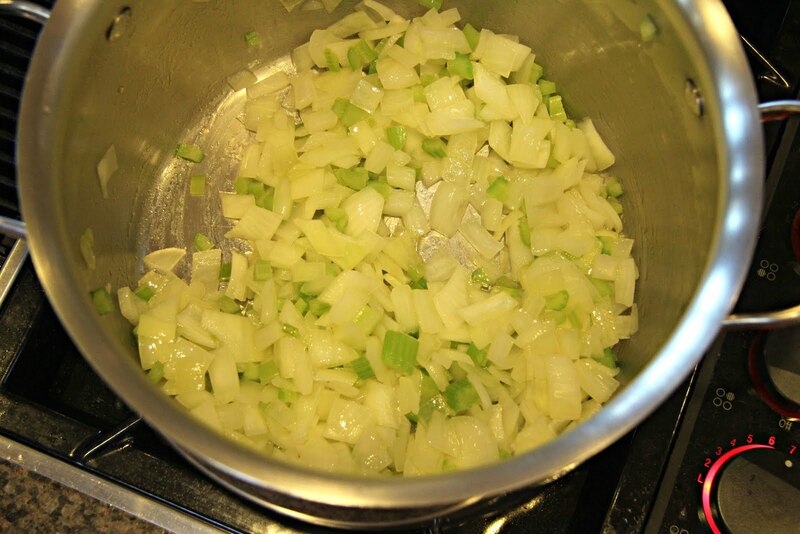 In a large stock pot, saute onions and celery in @ 1 TB cooking oil (I like to use corn oil for Mexican dishes but olive/canola/safflower are fine) and a sprinkle of salt until they begin to sweat and soften a bit. 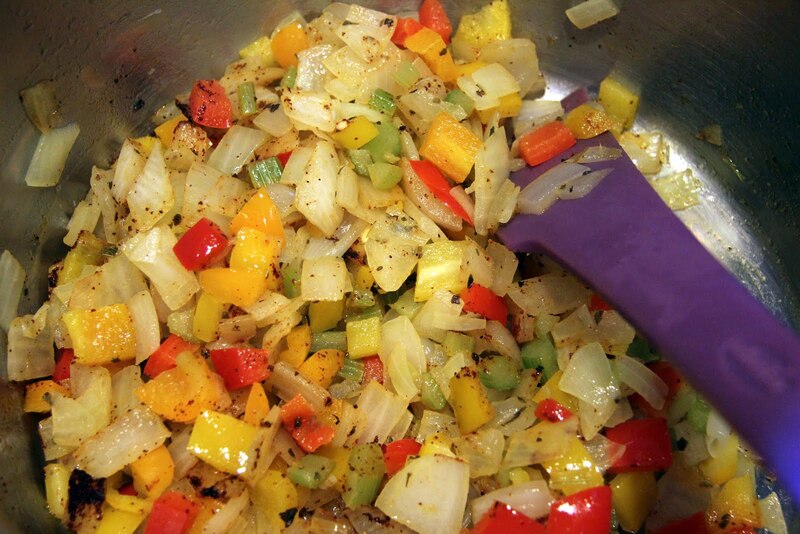 Add bell pepper, cumin, oregano, chile powder, and cayenne pepper and continue to saute until the peppers are tender. and baking in a preheated 400 degree oven for @ 10 minutes or until crisp. 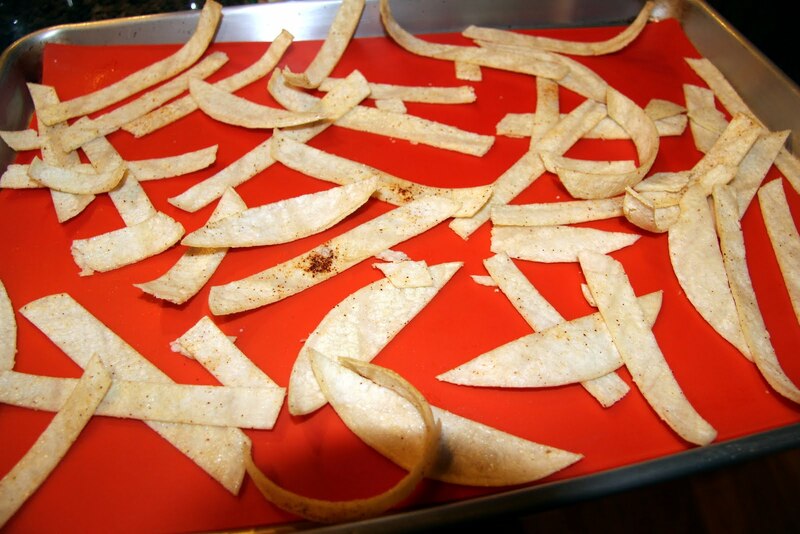 Or, you can just open up a bag of your favorite tortilla chips, throw on the toppings you want and dig in! 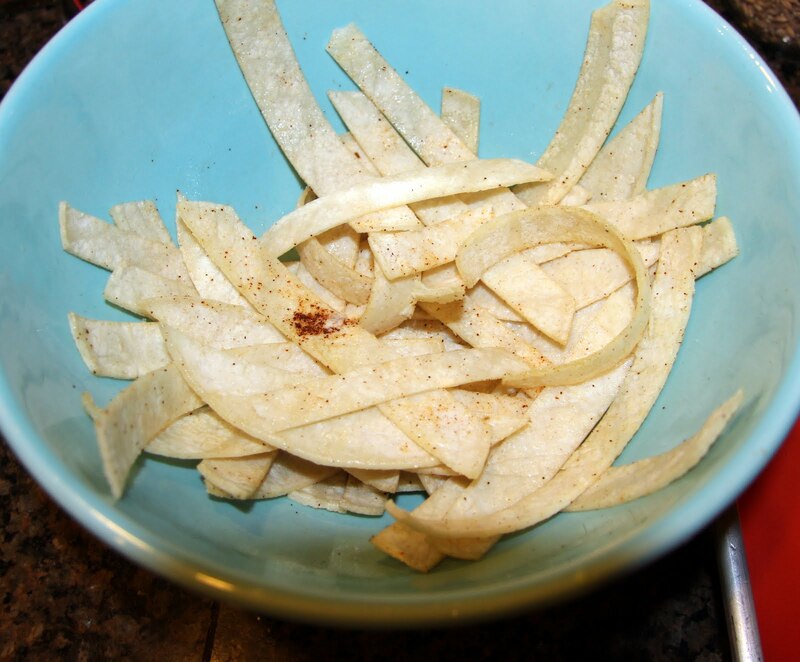 I made the tortilla strips the first night but used chips for leftovers. The chips were a bigger hit with my crowd. Alright, it’s time to turn off House Hunter’s International and go to bed. 11:25 is very late for this mom! Enjoy your soup.